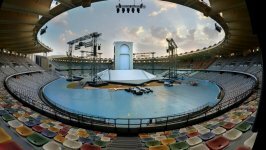 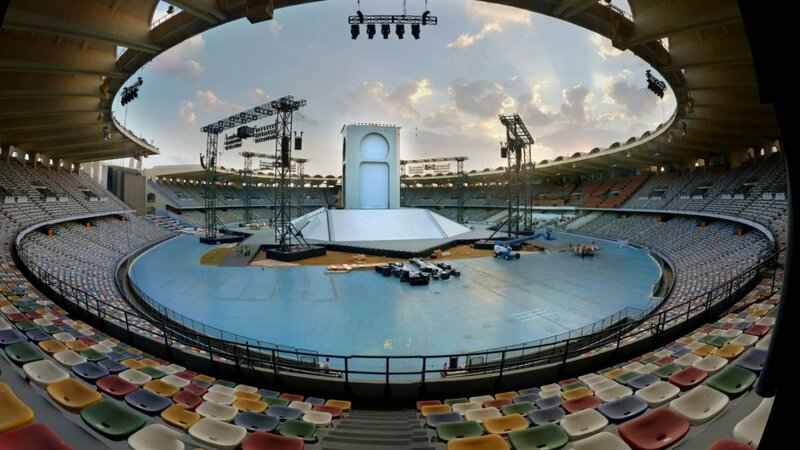 D+D conceptualized, staged and filmed the official ceremony for the UAE 40th National Day Celebration which saw Zayed Sports Stadium full to capacity as thousands turned out to celebrate the achievements of the nation and honor the leadership of the UAE’s past and present. 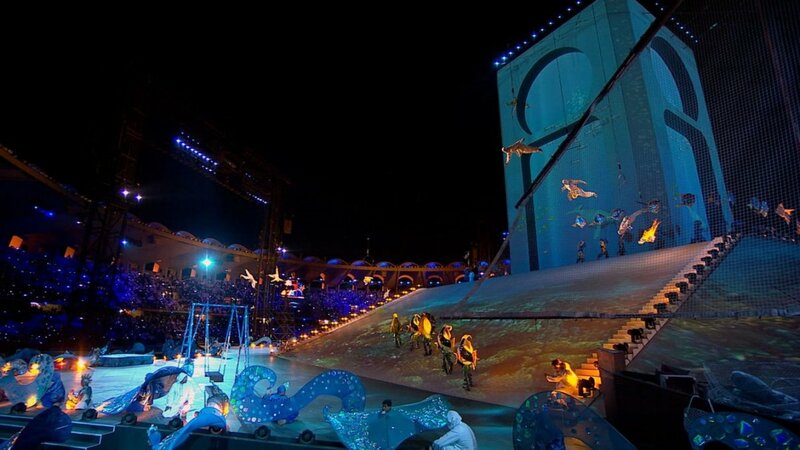 This larger than life arena production, had more than 112 International specialist aerialists, skaters and acrobats from 25 countries and was a true tribute to the inspirational leaders past and present who have transformed the United Arab Emirates into the thriving economic nation of today. 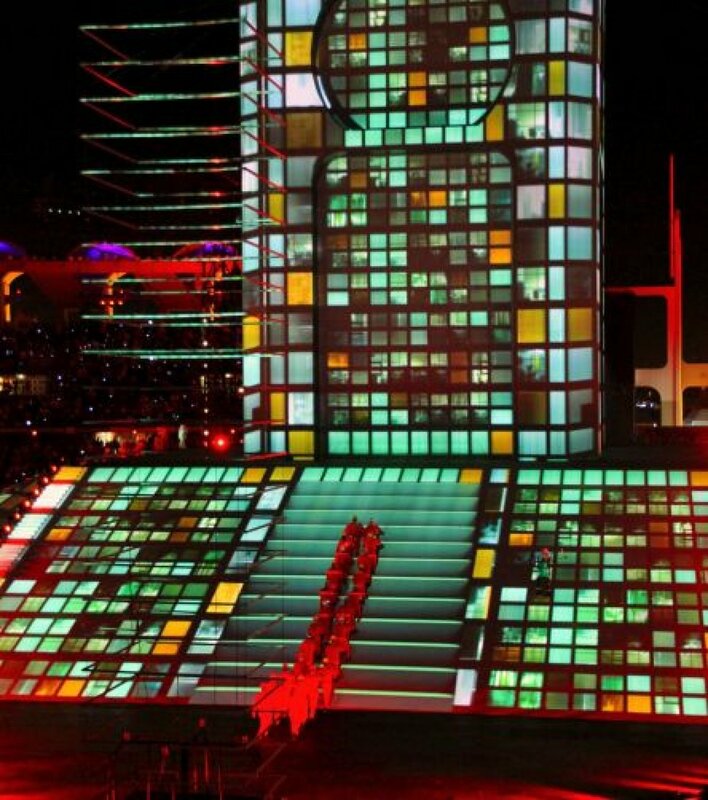 Following the ceremony Shaikh Sultan Bin Tahnoon Al Nahyan, Chairman Abu Dhabi Tourism Authority and Chairman of the Higher Committee for National Day expressed his pride and appreciation to all those who were involved in the organization of such an amazing ceremony. 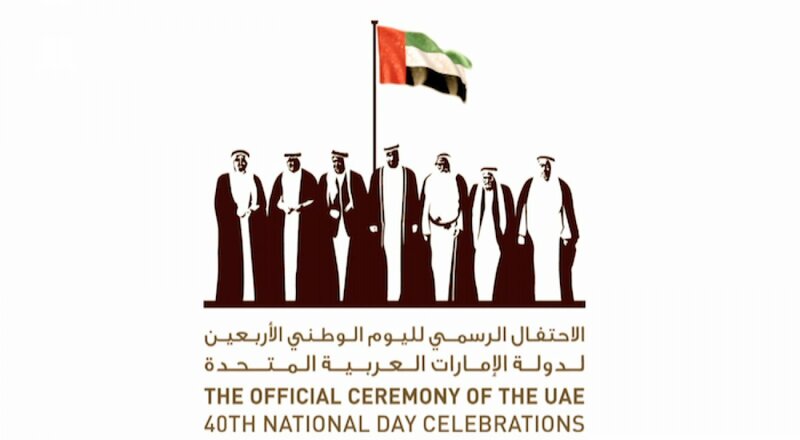 He noted, ‘The objective of establishing The National Day Committee was to coordinate a National Programme of Celebrations on this auspicious occasion. 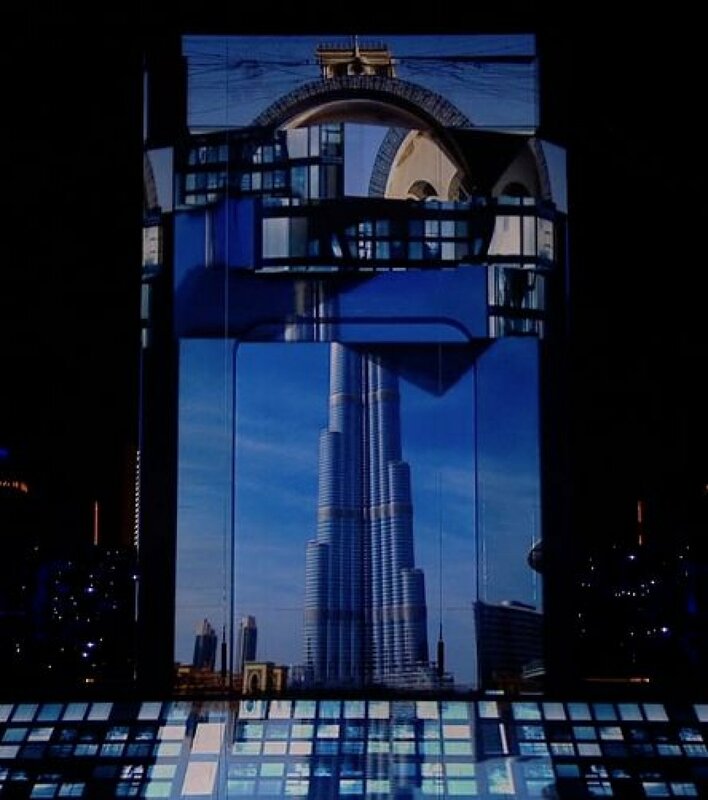 The success of this has surpassed all expectations and this could be clearly seen in the stadium tonight as all who call the UAE home stood side by side in celebration. 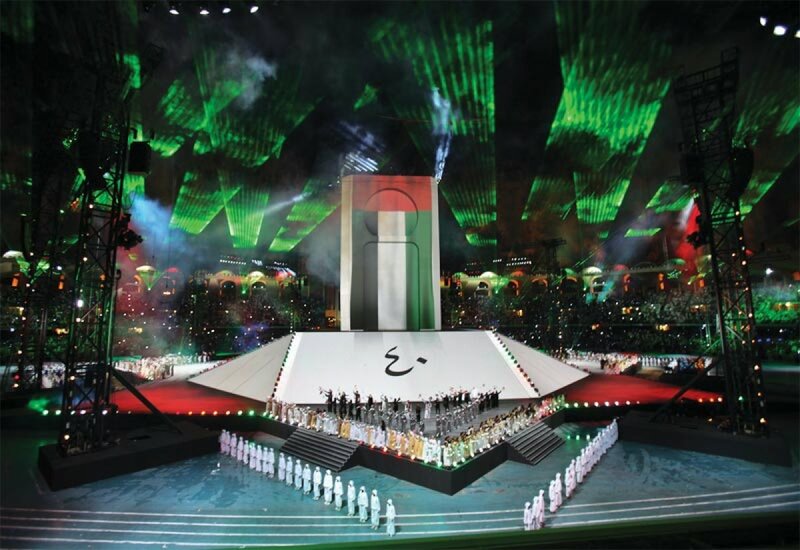 The ceremony itself was seamless in promoting the national identity and a fitting tribute to the nations rich history, culture, and achievements. 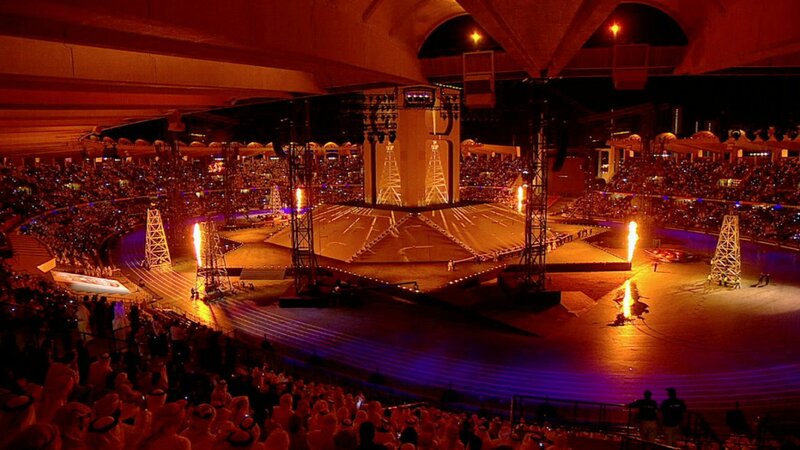 I would like to congratulate the committee members, and all those involved in the months of preparation, for their dedication and efforts in producing and delivering an extraordinary program of events and celebrations across the Nation’. 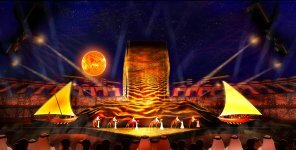 The spectacular event was attended by the President His Highness Shaikh Khalifa bin Zayed Al Nahyan, the emirates’ Rulers and Crown Prince’s. 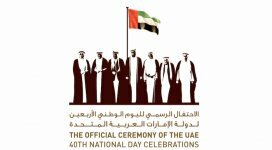 The celebration commenced with a Military Parade which had the crowds on their feet in rousing applause to show their appreciation and pride for the UAE Military, Police and international humanitarian aid efforts. The parade concluded with a poignant military flyover. 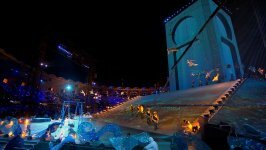 As darkness fell across the stadium the crowd used free LCD lights to creating a breathtaking twinkling scene. 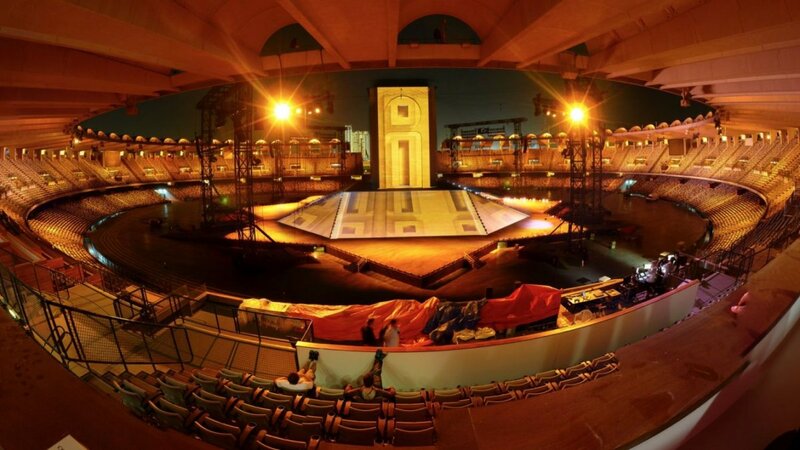 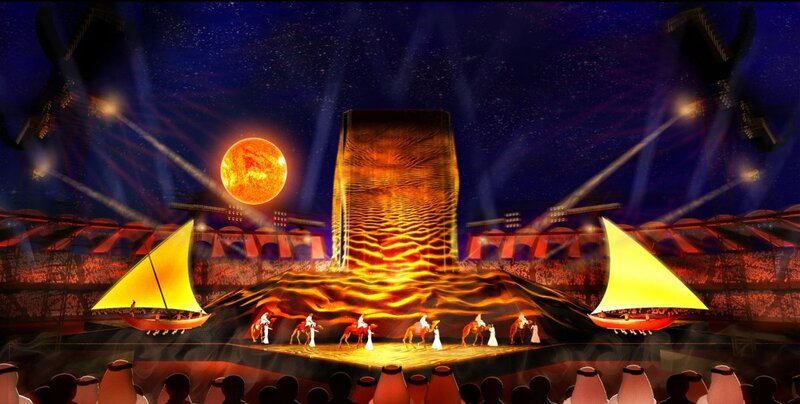 The spectacular arena-show celebrated those who initiated and influenced the development of the nation with eight separate scenes illustrating the growth and development of the nation. 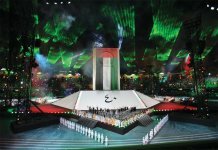 Sheikha Hessa bint Mohammed Bin Zayed Al Nahyan opened the ceremony by welcoming the guests and recapping a number of significant historical moments and people prior to the founding of the nation. 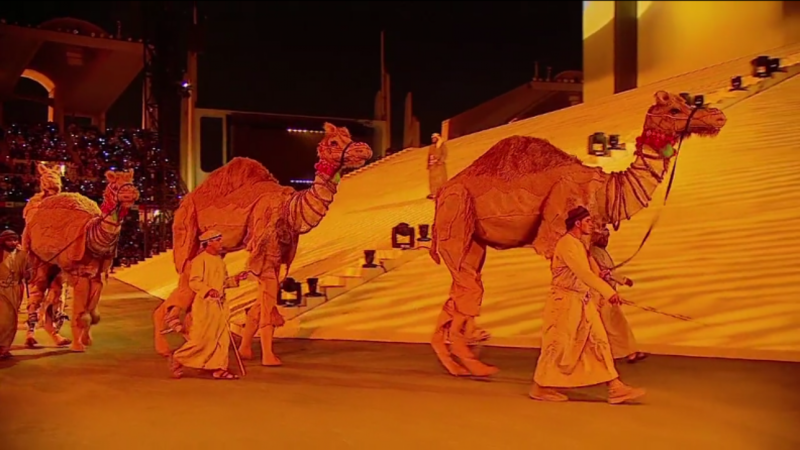 The show then moved into a vibrant scene from the past showcasing the journey from the desert terrain through to the shores of the gulf. 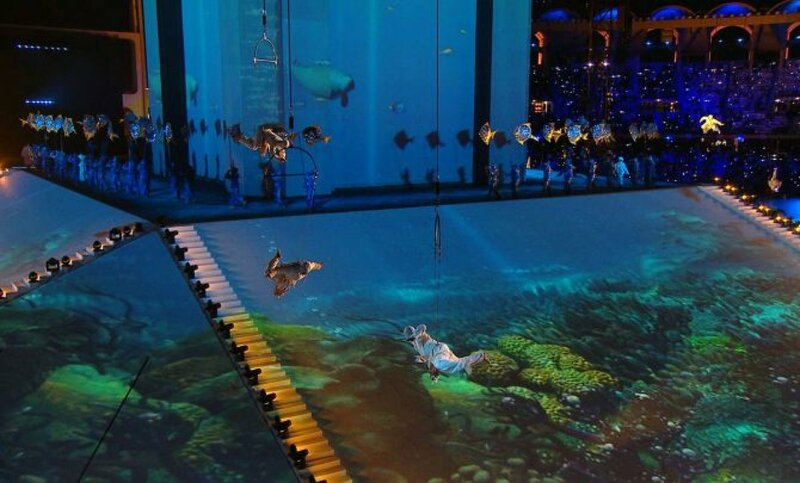 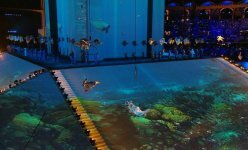 Acrobats and dancers recreated a stunning underwater spectacle which moved into a scene showing traditional hospitality and customs. 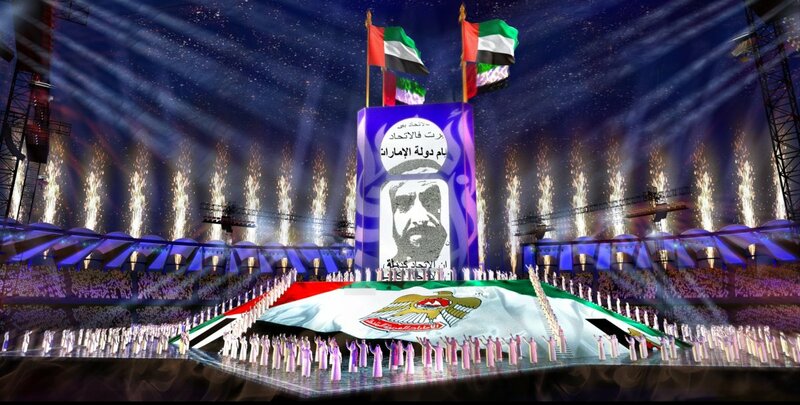 As a sandstorm swept through the stadium, the scene changed to a poignant video of the Late Shaikh Zayed speaking about his vision for the Nation which rendered the crowd silent in admiration. 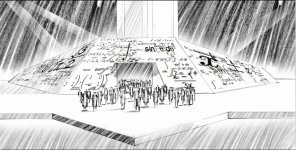 The impact of those who planted and nurtured the seeds of change was represented as the dessert was transformed into an irrigated landscape ripe with possibilities for the future. 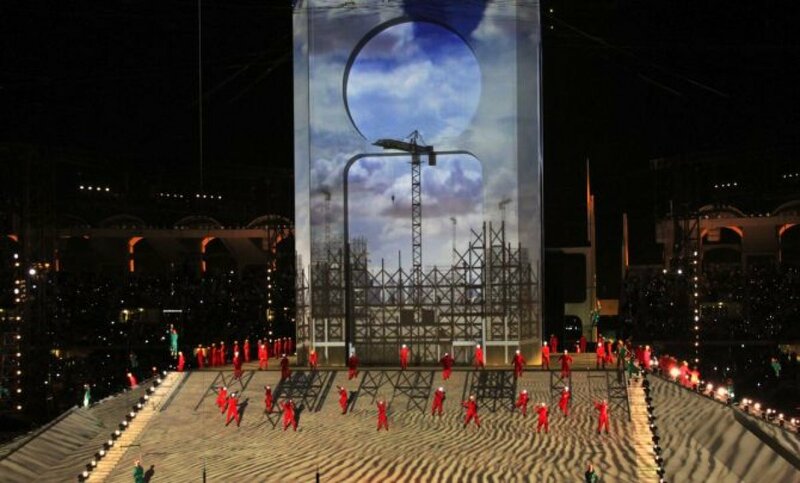 Another milestone moment in the UAE’s history was dramatically recreated as the stadium filled with oilmen and oilrigs when oil is discovered. 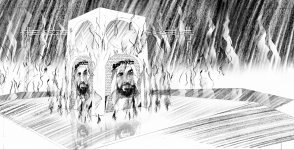 A montage of imagery followed representing the establishment of the alliance between Shaikh Zayed and Shaikh Rashid s as Shaikh Zayed reached out further to all the emirates, and commenced negotiations with the rulers to come together in partnership and found a nation. 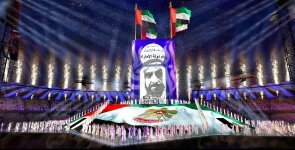 The crowd stood in pride as iconic images of the foundation of the nation were shown and the flag of the new state was raised. 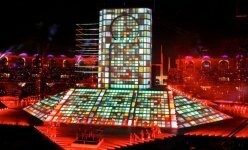 Scenes illustrating the growth of a city, development of infrastructure and progress of health, welfare, education, culture and arts and technology, among others, followed depicting the growth of the nation. 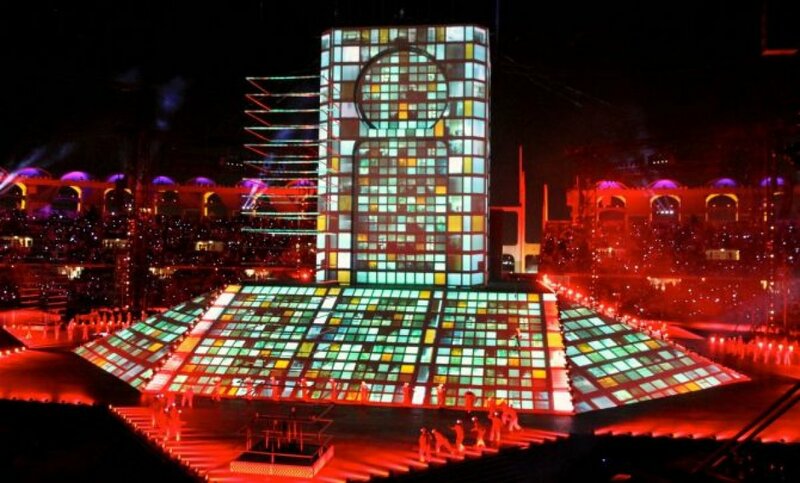 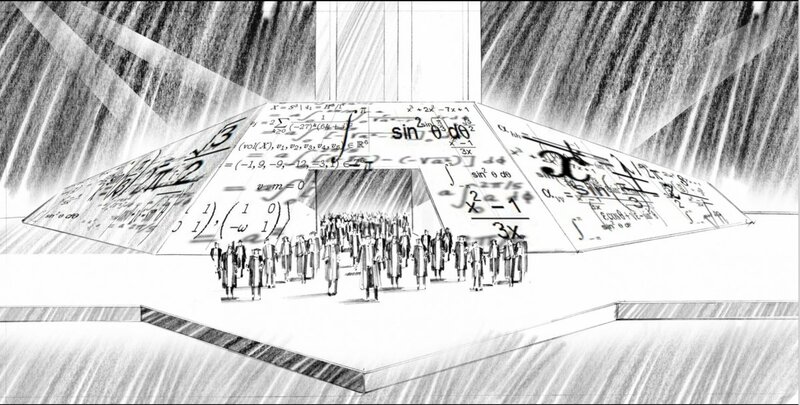 The stadium spectacular concluded with dramatic scenes of the vision of the future followed by epic laser lights and fireworks projected into the sky high above the arena. 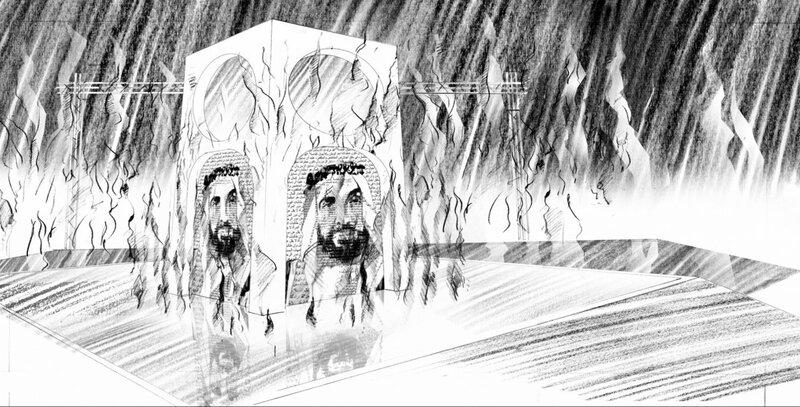 Her Highness Sheikha Maryam bint Mohammed bin Zayed Al Nahyan, Chairperson of the Executive Committee of the 40thNational Day Celebrations, paid tribute to President His Highness Shaikh Khalifa bin Zayed Al Nahyan, General His Highness Shaikh Mohammed bin Zayed Al Nahyan, Abu Dhabi Crown Prince and Deputy Supreme Commander of the UAE Armed Forces, Mother of the Nation His Highness Sheikha Fatima bint Mubarak, Chairwoman of the General Women’s Union and Her Highness Sheikha Salama bint Hamdan, whose vision and support ensured the event’s huge success.